Sun Chlorella Corp. (Head Office: Shimogyo-ku, Kyoto City; President & CEO: Futoshi Nakayama) will sponsor “Asia Cross Country Rally” sanctioned by The Federation International Automobile (FIA) from 2018 to 2020. Thus, this event has been called “Sun Chlorella Asia Cross Country Rally” for three years from this year. Our products have been used around the world through our selling networks: 26 business offices in Japan and 21 subsidiaries and distributors in foreign countries. What is Asia Cross Country Rally? Asia Cross Country Rally is held in August every year in Asian countries. It starts from Thailand to another various countries and runs through the mountain area, jungle, beach side, plantation and circuit under the peculiar environment in Asia such as the road condition, climate and nature. Thailand has been a starting point in recent years. This event has been held every year since 1996 in these 8 countries; Thailand, Malaysia, Singapore, China, Laos, Vietnam, Cambodia and Myanmar. The route and countries which run through change every year, and this event will be 23rd times this year. 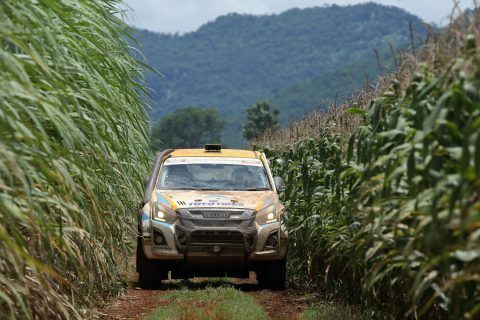 In addition, this event is sanctioned by The Federation International Automobile (FIA) same as Dakar Rally and known as the biggest cross country rally event in Asia. It will start from Pattaya/Thailand on Sunday, August 12th and finish on Saturday, August 18th at Phnom Penh/Cambodia. We have been supporting various sports activities. We will continue our activities both in Japan and abroad, aiming to create a sports culture and the future in which people can love and enjoy healthy sports.